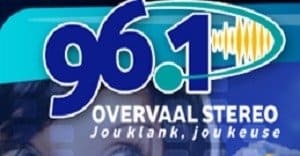 Overvaal Stereo FM 96.1 Viljoenskroon Online Live Streaming.Overvaal Stereo FM 96.1 Viljoenskroon is a Regional radio channel from Viljoenskroon, South Africa (Africa). Note: FM will Start Playing automatically. Please wait for 20 Seconds to listen FM(Player Loading may take upto 30 Seconds).